manage the serial number, MAY IDs, etc. 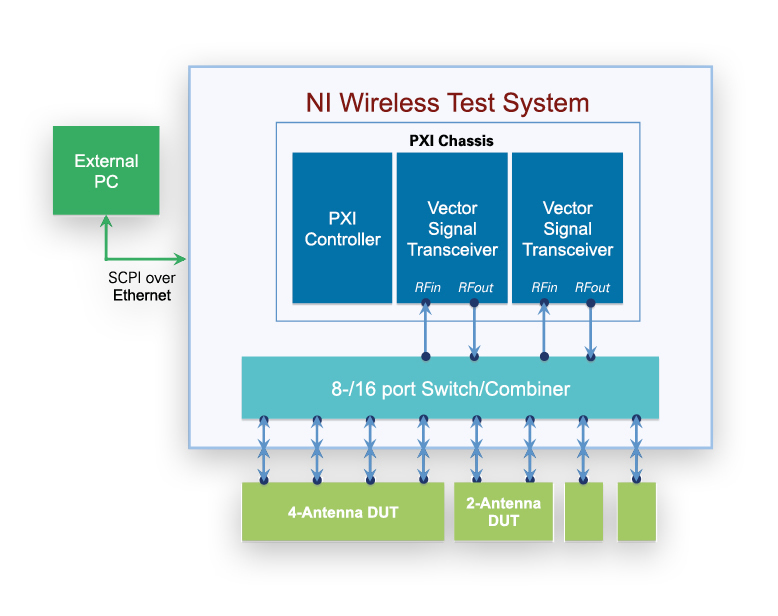 RF calibration and verification station: NI Wireless Test System (WTS) with dual VST instrument and 16 port RF switching technology as well as further PXI components for supplying and controlling the DUTs. 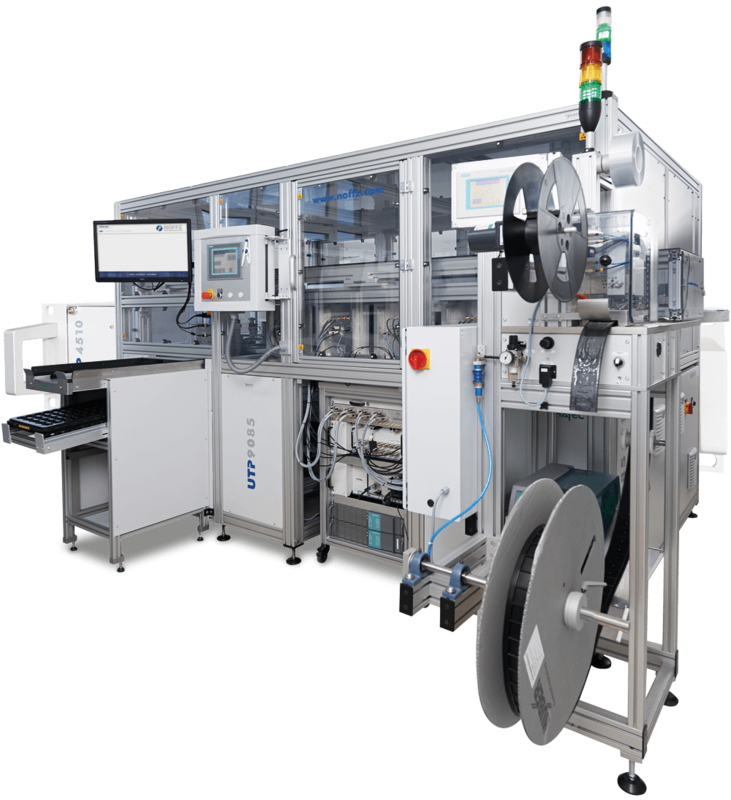 By intelligent linking of different standards and in combination with a UTP 9085 system base a very effective and redundant testing system was created, which is able to simultaneously perform different tasks. It is possible to program the modules on up to 16 individual positions, to calibrate or verify them on a blister roll. The facility allows the fully automated production of a minimum of 500,000 modules per year.